A Powerful Mount Arrives in League of Angels! League of Angels, the award-winning MMORPG, is happy to announce the release of a brand new Mount! 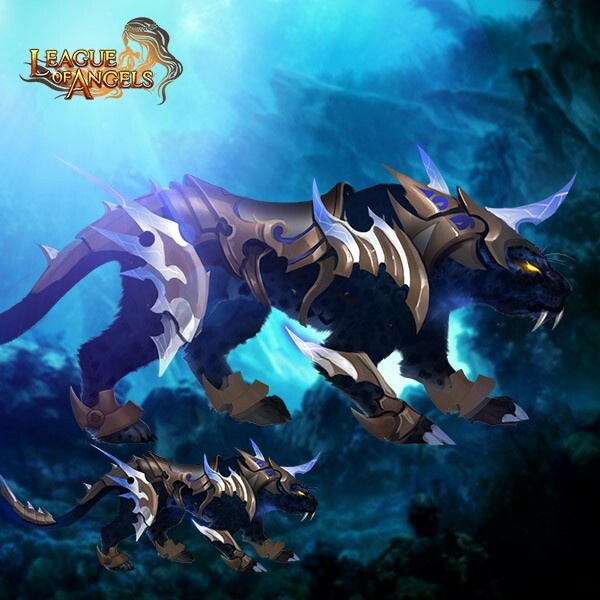 Introducing Black Panther, the elusive mount! When in battle, Black Panther’s unique skill “Blackstorm” has 100% chance to increase character’s Crit by 12% and ATK by 6%. The skill buff lasts for 2 turns which will be a great help to your squad. In addition, just riding this mount will massively increase your character’s HP, PATK, MATK, PDEF, MDEF and Agility! Black panther will show up in Lucky Tree from time to time. Stay tuned for more information!